Camping is one of my and life’s great pleasures and as I found it can become very addictive! It’s a chance to get out into the countryside alone or with your family and really commune with nature. It’s something that’s just as much fun for beginners as it is for those like me, who’ve been camping for years. You will either love it or hate it! Below i will share with you some of my many pro’s and con’s on camping, then you can decide… Is camping for you? At heart there’s nothing difficult about camping. All you really need is a tent. 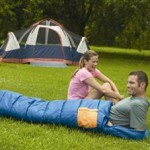 Depending on the weather you might not even need a sleeping bag. To enjoy a camping trip properly though, you will need a certain amount of equipment, especially if like me you’re travelling with children. I always limit the amount of toys we take with us and instead I let my little ones find new toys and create games from natures craft box and their imagination! When starting out you may not know just which camping equipment is essential and which isn’t. Knowledge can save you plenty of money, as I have learned; if you want to buy more later, fine, but why spend money you don’t need to spend? It’s important to buy a good tent that’s the right size and style for you needs. Having the right size makes sure no one is cramped. Depending on the type of camping you’re planning, weight and portability can also be factors. If you’re backpacking and camping then you need a tent that’s as light as possible. If you’re in a car that becomes far less important; you should have the room for a large, family size tent, unless like me you pack half the house! So bare in mind all the things you will be packing that go inside the tent! It’s also important to know how to look after a tent, to prepare it for putting away in the winter, how to check it at the start of camping season and to be able to repair any rips that might happen; it’s much cheaper than buying a new tent. Here are some great tent repair kits if you do find yourself in a bit of a pickle. When it comes to sleeping in a tent there are more options than novices might suspect. You’ll need a quilt if you’re Glamping or a sleeping bag – but what type of bag? There are literally hundreds on the market and making a choice can be difficult. As if that wasn’t enough, you also need to decide what to sleep on. 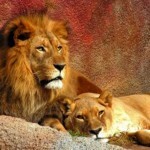 It shouldn’t just be the groundsheet of the tent. Instead you want a camping mat, a camping cot or an airbed – but which is best for you, and what are the pros and cons of each one? Before you set out on a camping trip there are few things to think about: make a checklist to be sure you’ve got everything; check out the etiquette at the campsite you’re going to, especially if you’re taking children or pets; make sure you know where to park up before being allocated a pitch and if there are any security codes to get you through barriers (many bigger campsites have these); secure your home, cancel the milk and tell the neighbours. You always need to eat! Even on a camping holiday, and that’s going to mean cooking. You’ll need a good camping stove as well as the right cooking utensils. When it comes to food you might decide to carry freeze dried foods with you or buy fresh items locally. You’ll need a good cooler and to know how to keep food fresh and your wine chilled… very important for those long hot summer days! The only limit when camp cooking is your imagination! There are campsites all over the UK. Wherever you want to go, there’s almost certainly a campsite close by. But not all campsites are created equal. There’s a huge difference between a big commercial venture with a fancy shower block and a shop and setting up your tent in a farmers field or going wild camping, trust me, I’ve been there! When you plan your camping holiday you have to be aware of what you need from a campsite. With a family that will usually mean more facilities, although that doesn’t always limit you or move you away from nature. If you’re planning a camping trip abroad, you need to book ahead for campgrounds; in this case, being prepared is essential. When you’re out in the countryside you need activities to fill your time like hiking or pony trekking. These are activities that the entire family can enjoy, they’re also great exercise and you might not get the opportunity to try them closer to home. 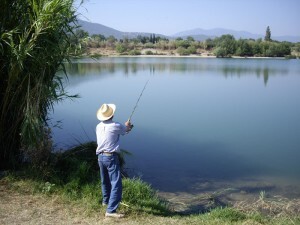 Or there’s fishing and mountaineering to give you a chance to get really close to nature and wildlife. Some people combine lots of activities on a camping holiday – but remember, doing this requires plenty of planning and also stamina. Before undertaking these make sure you’re up to it, and if you’re taking a family, that they’re all fully prepared for it too! Safety is easy to forget when you’re out in the fields, under canvas, watching the stars…but there are a few points to keep in your mind to stay safe. Woman camping alone can be very vulnerable – so sticking to an official campsite and making yourself known to the campsite manager or ranger is advisable. If you’re camping as a family with small children, they’ll experience a freedom that they’ll relish and remember for years to come, but you’ll still have to be on your toes if there’s a river or stream nearby (or even a main road that’s easily accessible). It’s very easy break into a tent so you need to be certain never to leave anything valuable in your tent. If you’re in a car, locking valuables in there is a good bet, otherwise, put items like phones, wallets and cameras into your rucksack and take them with you when you leave the tent. I can’t tell you everything about camping; everyone’s going to have a different experience and believe me, each time I go camping it is always a different experience! If it’s your first time, the more you know, the more you’re likely to enjoy it and go camping again and again. As I said earlier, it can become quite addictive, and it makes for a much cheaper holiday, far closer to nature. If you can get your family hooked, as I have then taking off in school holidays and free weekends offers plenty of chance for adventure for all of you. One response to "Is Camping For You?" Camping was not for me for many years….its amazing how times change! But I have friends who will not even try it. They are so adamant its not for them, despite the pleas of their children to give it a go! 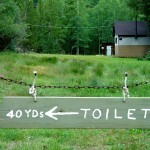 One of the biggest obstacles in going – lack of bathrooms (even if they camp at places with facilities!! ).